On August 21, 2017, there will be a total eclipse of the sun across the U.S., during which dim structures around the edges of the star—such as the corona—will be visible. On Monday, August 21, 2017—for the first time in nearly a century—a total solar eclipse will cross the United States from coast to coast. A solar eclipse happens when a new moon moves between the Earth and the sun, blocking all or some of the sun’s rays. Depending upon where you are at the time, you may see a total solar eclipse—if you are in what is known as the Path of Totality—or a partial eclipse. Such astronomical events have long fascinated human beings. 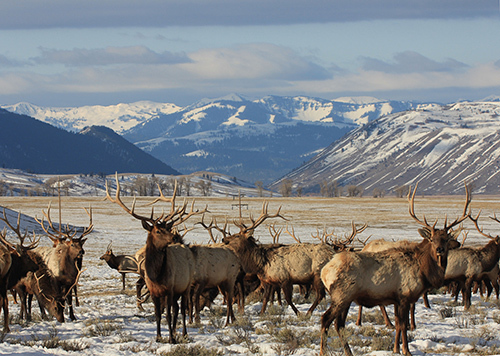 This time around, though, you’ll not only have unique ways of engaging with the phenomenon, but you’ll get the chance to help scientists understand how it affects wildlife. And being a “naturalist for a day” could be as exciting as the eclipse itself. The whole of the nation hasn’t seen a total eclipse of the sun since June 1918, when the Path of Totality crossed the country from Washington State to Florida. Although there was a solar eclipse in February 1979, it crossed the U.S. only in the Pacific Northwest. On August 21, in the approximately 70-mile-wide shadow of the moon called the umbra, the sun will be totally obscured for about two minutes. Those outside this track, in the penumbra, will see a partial eclipse. Taking just a little over an hour and a half to traverse North America, the eclipse will begin around 10:15 a.m. Pacific Daylight Time off the Oregon Coast. It will then pass through portions of Idaho, Wyoming, Nebraska, Kansas, Missouri, Illinois, Kentucky, Tennessee, Georgia and North Carolina. The longest duration of totality will be in Missouri, Illinois or Kentucky, where the blackout will last about two minutes and 40 seconds. The last place to see the eclipse before it exits the U.S. will be in the vicinity of Charleston, South Carolina. At the moment the moon and the sun reach a perfect alignment—a rare occasion given the moon’s slightly tilted orbit—the sky will darken, the air will cool and day will turn into night. 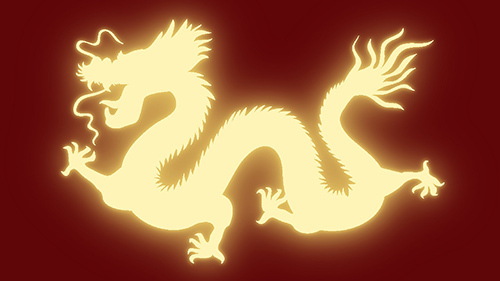 In ancient China, a solar eclipse meant that an astral dragon was eating the sun. 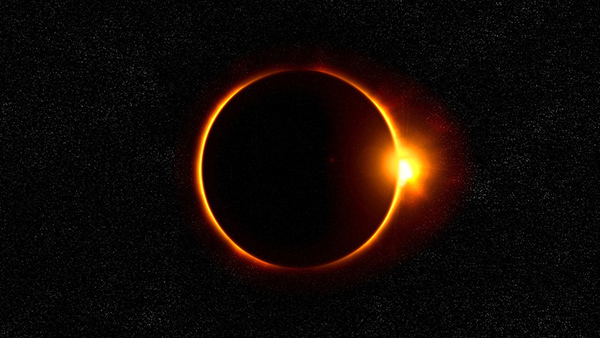 According to Greek historian Herodotus, a solar eclipse in 585 BCE stopped the war between the Lydians (people who once lived in what is now Turkey) and the Medes (an ancient Iranian people), who saw the dark skies as a sign to make peace with each other. In a Native American Choctaw legend, solar eclipses were attributed to a black squirrel that was gnawing on the sun. The Choctaw would make a lot of noise—yelling, banging on drums and pots, and shooting guns—for the duration of the darkness, in order to drive off the squirrel so that the people could continue to enjoy heat and light. In an Algonquian story, Mouse ends a solar eclipse by freeing the sun from a snare. While we have evidence of how people have perceived eclipses over the centuries, reports of how animals behave is mostly anecdotal. For example, we’ve heard that birds will sometimes quiet down during eclipses, while crickets, frogs and mosquitos may start their evening activities. Nocturnal animals, such as bats and owls, have reportedly stayed energetic during totality. In Zimbabwe during a total solar eclipse in June 2001, it was observed that some birds, including egrets, hornbills and ibis, were seen flying in the direction of their nighttime roosts. 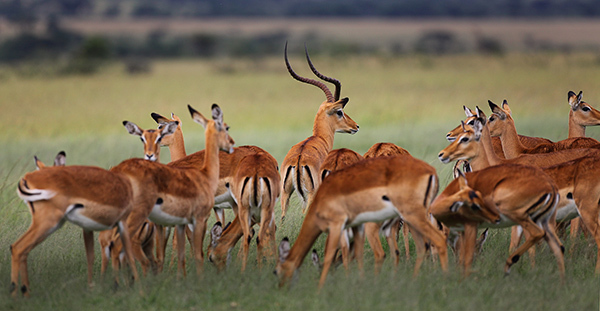 Both impalas and baboons suspended foraging, and the baboons began traveling—possibly toward their sleeping quarters—although they halted as soon as the sunlight returned. In the first, short video below, titled Animals at Total Eclipse, NASA astronomer Doug Duncan relates some strange animal behavior that he observed during two of the 10 solar eclipses he has witnessed. Studying the behavior of wild animals during an eclipse is difficult, although there are anecdotal observations. Rigorous research on animal behavior during eclipses, however, is slim. 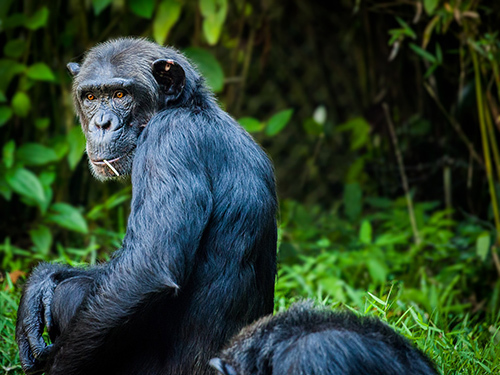 In a study published in 1986, it was found that a group of captive chimpanzees in Georgia all seemed to congregate on a climbing structure during the totality. In 1991, research in Mexico showed that colonial orb-weaving spiders acted normally until totality but then started to deconstruct their webs, only to rebuild them again once the sun reappeared. In contrast, a study published in Zoo Biology in 2003 concluded that captive baboons in Chile did not seem to pay much attention to a 1994 eclipse. Studying animal behavior during eclipses is difficult, given the infrequency of the events and the changing locations of totality. Controlling for variables and repeating tests many times to evaluate validity is impossible. That’s why scientists around the world are looking for your help. This year, technological advances will be used in unprecedented ways to help gather data about eclipse-experiencing wildlife. For its Life Responds project, the California Academy of Sciences is asking citizen scientists to download its free iNaturalist app and, on the day of the eclipse in a special drop-down menu, to record observations of animal behavior before, during and after the spectacle. 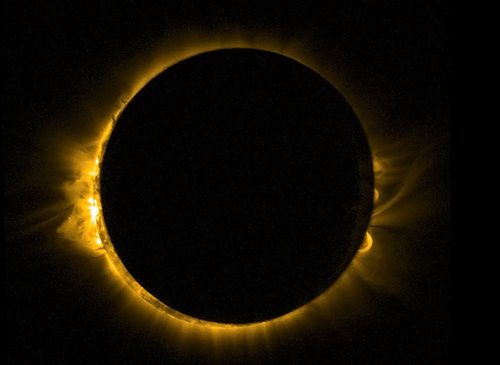 The thousands of notes that it’s hoped this project will result in will help researchers establish baselines of behavior that they can measure future eclipses against. It’s only through this massive aggregation of data—which has never before been possible—that they can start to recognize patterns and draw conclusions. If you’re looking for places to find animals during the eclipse, there are more than a dozen wildlife refuges within the Path of Totality. 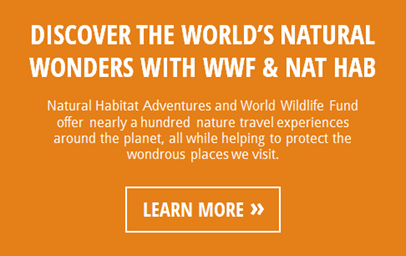 You can also participate by going to zoos, some of which encourage visitors to log observations by using the iNaturalist app. While watching the solar eclipse, be sure to wear proper eye protection, such as special glasses with lenses made from a solar filter shaded thousands of times darker than any personal sunglasses. You can learn more in the second video below from the NASA Goddard Space Flight Center. If you don’t manage to get into the path of totality this August, you’ll still be able to take part via live-streaming services. Should you miss this eclipse entirely, you’ll only have to wait until July 2019, when the next total solar eclipse crosses Chile and Argentina. To catch it again in the United States, however, you’ll have to wait until April 2024. The upcoming total eclipse of the sun will probably be the most documented and perhaps most appreciated one in history. But think how much more fulfilling it will be when you include your wildlife brothers and sisters in your observations.